Will joined VB&P in 2010 as Paul Venables’ partner, and in 2015 stepped up his role in leading the creative department as Partner/ECD. 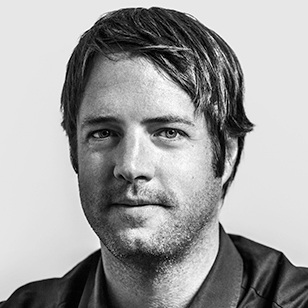 Will’s played an integral part in the agency’s successes and strong momentum, helping to win significant new business and overseeing award-winning work for clients such as REI, Google, Audi, Intel, Reebok and Samsung, as well as a recent Breakthrough Agency of the Year honor from Adweek, and inclusion in Fast Company’s 2017 Most Innovative Companies list. Will came to VB&P after seven years at Goodby, Silverstein & Partners, where he was Creative Director, Associate Partner, and a force in the agency’s rapid reinvention from a traditional model to a more integrated one. During Will’s tenure, Goodby, Silverstein & Partners earned the title of Interactive Agency of the Year at the Cannes Festival for its work for clients like Sprint, Doritos, Got Milk? and Nintendo. Will has previously served as Chairman of the Interactive One Show, Executive Chairman of the CLIO Interactive Jury and Interactive Chair for the Art Directors Club awards. He’s won awards at every major award show, including the coveted Titanium Grand Prix at Cannes for his work on REI’s #OptOutside. Will was included in the Creativity 50 in 2008, and Business Insider’s 30 Most Creative People in Advertising list in 2016. His wife remains unimpressed.